The incident took place on Saturday morning. Police said a scuffle erupted after a man objected to the brothers, Shahzad, Nafees and Mukeem, allegedly raising slogans close to his house. 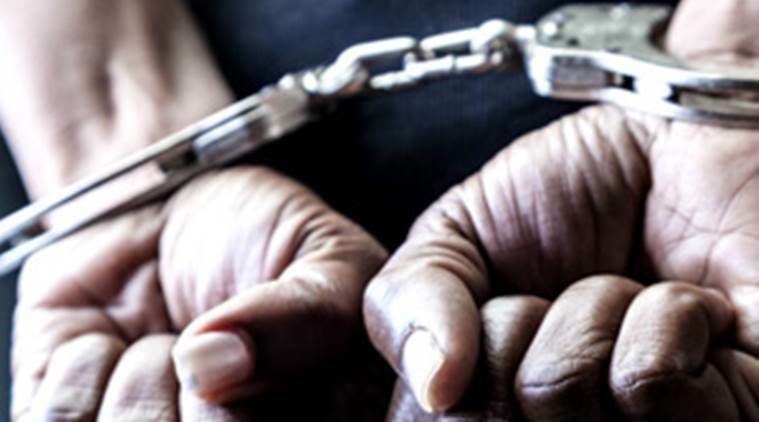 Days after police slapped sedition charges against three brothers for allegedly raising anti-national slogans in Ghaziabad’s Loni, one of them has been arrested. “An FIR was filed in Loni under IPC sections 124-A (sedition), 504 (intentional insult to provoke breach of peace) and 394 (voluntarily causing hurt during robbery) against the men as per the complaint of Sushil Kumar. Shahzad was arrested near Loni border area on Sunday; we are looking for the other two men,” said Circle Officer (Loni) Raj Kumar Pandey. Police claimed the men were watching a YouTube video of former Pakistan Prime Minister Nawaz Sharif on their phone when Kumar confronted them. They got into an argument and the men allegedly raised slogans of ‘Pakistan Zindabad’, police said. “The men took a knife from a nearby barber shop and attacked me with it. The accused also hurled verbal abuses at my mother… By the time I recovered from the attack, I realised they had taken my phone and around Rs 5,000 in cash,” alleged Kumar in the FIR.